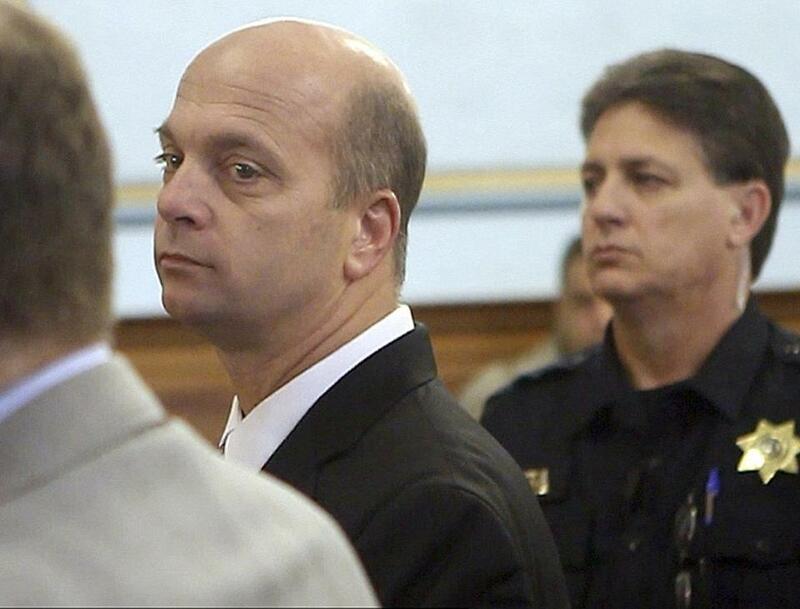 Representive John Carnevale during his arraignment on sexual assault charges in Providence on Nov. 16. PROVIDENCE - The woman who accused a state lawmaker of sexually assaulting her last summer has died. Prosecutors say state Representative John Carnevale of Providence sexually assaulted the 46-year-old woman at her Johnston apartment in July. A death notice said the woman died Sunday. The Associated Press does not typically identify alleged sexual assault victims. The 50-year-old Carnevale pleaded not guilty in November to charges including first-degree sexual assault. Carnevale, who is divorced, is a retired Providence police sergeant. The criminal charges against Carnevale still stand, said a spokeswoman for Attorney General Peter Kilmartin. Carnevale referred questions to his defense attorney, William Dimitri, who declined to comment. A police report said no one else was at home at the time when the woman said she was sexually assaulted. Authorities said that Carnevale had socialized with the woman in the past.